Buying furniture for the whole house at once is always a nice idea. First of all, you get a chance to decorate your home quickly; and next, it is way easier to keep your main interior theme in mind. The latter one is always a requirement while working on any decoration pattern – regardless if you are designing a tiny studio apartment or a huge house. Sure, your living room and your bedroom furniture items do not necessarily have to be the same, but the common pattern should be traceable. The first important rule has already been covered. However, it is crucial to give a couple of specific examples. For instance, if there is plenty of genuine solid wood in your home, one room designed in gloss and metal will look out of place. So, the key to success is to choose one dominant material and stick to it. If you choose wood, for example, you can decorate one room in walnut, and the other one in pine, but it still should be designed in wood. High gloss can be come with glass and metal, or very light and contemporary wood furniture for the whole house. Whichever material you choose for your dominant theme, make sure that it is of high quality. Genuine leather, for example, is always preferable to artificial one; tempered safety glass is durable and, quite logically, safer than ordinary glass. Wood is surely a higher quality material than MDF – even though the latter one can also be quite solid and visually appealing. No matter what kind of materials you choose, make sure that each furniture piece has solid build. Otherwise, furniture legs will get shaky; finished surface will tarnish, etc. Sure, you can buy items that have strictly decorative functionality, but most furniture for the whole house should be functional. Storage units should have great capacity; chairs and sofas should be comfortable, etc. Another important feature of high quality furniture for the whole house is the availability of matching items – especially, if you will not be able to furnish your entire home at once. Stick to neutral, timeless designs, and you will have no problem redecorating or substituting some items. 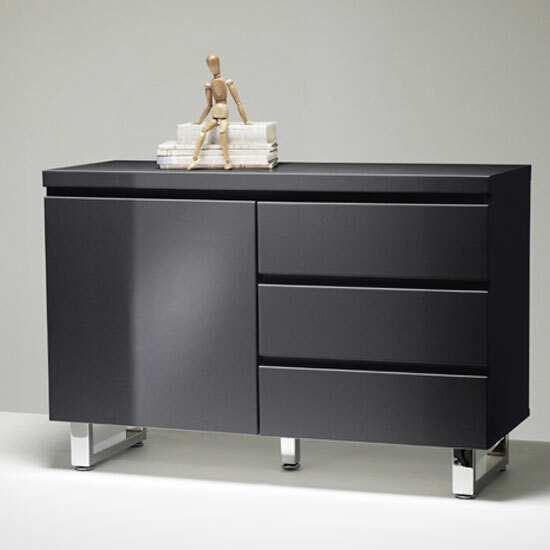 A very vast selection of furniture for the whole house is available at Furniture in Fashion . This is one of the leading e-commerce stores in the United Kingdom, which means that it will not be difficult to find any items you need in there. Plus, the store ensures quick deliveries all over the country, even if you order in bulk. In fact, bulk orders are even beneficial because they presuppose an additional 5% discount – not to mention a 15% discount for the selected items. Finally, even though it is a local platform, it works directly with a variety of international manufactures.